UFO Video Taped from Passenger Plane? An airline passenger allegedly recorded video of a UFO through the plane’s window. The plane and the UFO were reportedly flying over Liverpool, England. 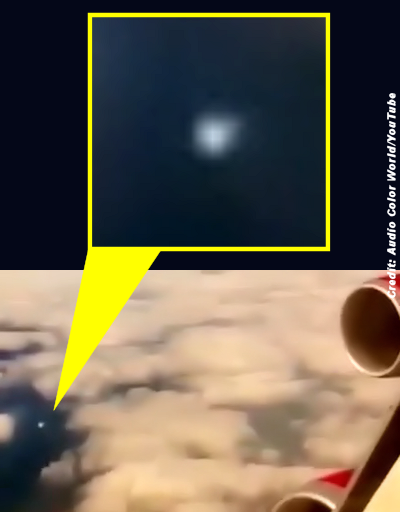 The roughly two-minute video shows the mysterious bright UFO in the clouds, flying along the same trajectory as the plane. Although the UFO initially looks like an ordinary aircraft in the distance, it later makes an incredibly sudden descent. The speed at which the object changes its flight path and descends rules out known aircraft. Some believe the object is simply a bird. But birds generally don’t fly 400 m.p.h. like a commercial airliner. . . .